Step off the beaten path and head to Feelapland and Auttikongas. Take a break from the city and head to Syvasenvaara Fell and Ounasvaaran Hiihtokeskus Oy. Explore the numerous day-trip ideas around Rovaniemi: Tatuka Palvelut (in Ylitornio) and Sampo Icebreaker (in Kemi). There's lots more to do: get in on the family fun at Santa Claus Village, stop by LAURI, snap pictures at Lumberjack's Candle Bridge, and get lost in a book at Rovaniemi City Library. 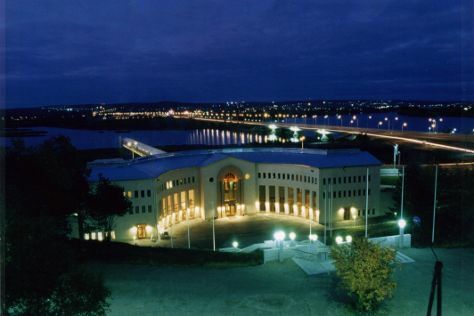 To see where to stay, traveler tips, maps, and more tourist information, read our Rovaniemi trip site . Stuttgart, Germany to Rovaniemi is an approximately 8-hour flight. You can also do a combination of train and flight; or drive. You'll lose 1 hour traveling from Stuttgart to Rovaniemi due to the time zone difference. Traveling from Stuttgart in July, expect Rovaniemi to be a bit cooler, temps between 22°C and 13°C. Wrap up your sightseeing on the 2nd (Fri) to allow time to travel to Posio. Posio is a municipality of Finland. Visiting Riisitunturi National Park and Korouoma Canyon will get you outdoors. Eschew the tourist crowds and head to Syote National Park and Pentik Hill. Change things up with a short trip to Ski Resort Suomutunturi in Suomu (about 58 minutes away). To see more things to do, traveler tips, reviews, and other tourist information, read Posio tour itinerary site . Traveling by car from Rovaniemi to Posio takes 2 hours. In August, daytime highs in Posio are 19°C, while nighttime lows are 10°C. Wrap up your sightseeing on the 7th (Wed) to allow time to travel to Levi. 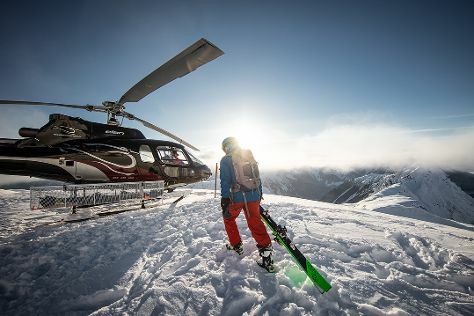 Explore hidden gems such as Elan Ski Shop & Rental and LUVATTUMAA - Levi Ice Gallery. Step out of the city life by going to Nature & Wildlife Tours and Ounaskievari Reindeer Farm. Get out of town with these interesting Levi side-trips: Kittila (Snow Village, The Sarestoniemi Museum, & more). On the 10th (Sat), ski the day away in the pristine settings at Levi Ski Resort. Next up on the itinerary: make a trip to Giewont Husky Adventures, get your game on at G2 Ice Karting Levi, wander the streets of Ounasjoki - River for activities, and find something for the whole family at Levi Huskypark. To find maps, reviews, more things to do, and more tourist information, you can read our Levi trip planner. You can drive from Posio to Levi in 4 hours. August in Levi sees daily highs of 19°C and lows of 9°C at night. Wrap up your sightseeing on the 13th (Tue) early enough to drive to Akaslompolo. You'll explore the less-touristy side of things at Seven Fells Up and Safaris. 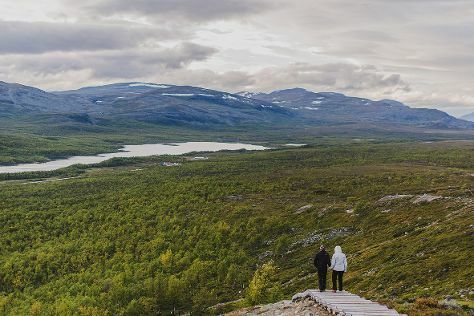 Visiting Pallas-Yllastunturi National Park and Keimiotunturi Fell will get you outdoors. Explore the numerous day-trip ideas around Akaslompolo: Muonio (Muonion Kotiseutumuseo & Keimioniemi Fishing Cabins). To find more things to do, ratings, photos, and more tourist information, read our Akaslompolo online trip maker . Getting from Levi to Akaslompolo by car takes about 1.5 hours. Other options: take a bus. In August, plan for daily highs up to 19°C, and evening lows to 9°C. You'll set off for Kilpisjarvi on the 19th (Mon). Step out of Kilpisjarvi to go to Karesuvanto and see Jarama WWII Fortification Camp, which is approximately 1h 30 min away. For ratings, photos, more things to do, and tourist information, go to the Kilpisjarvi road trip planning site . Traveling by car from Akaslompolo to Kilpisjarvi takes 3.5 hours. The time zone difference when traveling from Akaslompolo to Kilpisjarvi is minus 1 hour. August in Kilpisjarvi sees daily highs of 17°C and lows of 9°C at night. You'll set off for Inari on the 24th (Sat). Get in touch with nature at Urho Kekkonen National Park and Lake Inari. Eschew the tourist crowds and head to Reindeer Farm Petri Mattus and Inari Reindeerfarm. 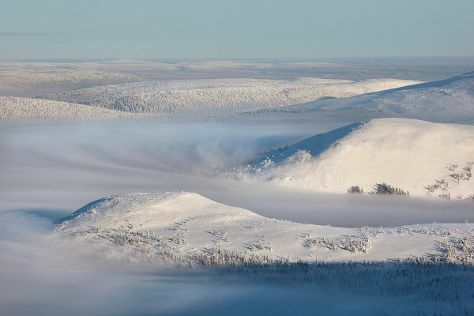 Get out of town with these interesting Inari side-trips: Saariselka (Saariselka Ski & Sport Resort, Action Park, & more). Spend the 28th (Wed) exploring nature at Lemmenjoki National Park. To see other places to visit, reviews, photos, and more tourist information, read our Inari travel route planner . Traveling by car from Kilpisjarvi to Inari takes 5.5 hours. Traveling from Kilpisjarvi to Inari, you'll lose 1 hour due to the time zone difference. In August, daily temperatures in Inari can reach 19°C, while at night they dip to 9°C. Finish your sightseeing early on the 30th (Fri) so you can travel to Pyhatunturi. Eschew the tourist crowds and head to Kopara Reindeer Park and Salla Ski Resort. 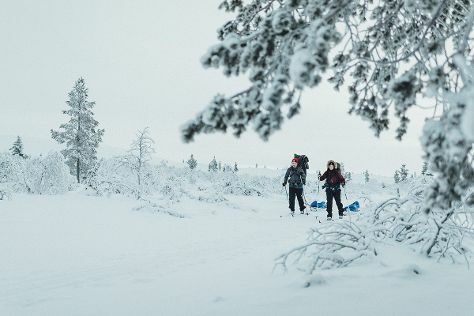 Visiting Pyha-Luosto National Park and Pyhatunturi will get you outdoors. Explore Pyhatunturi's surroundings by going to Salla Museum of War & Reconstruction (in Salla) and Church of Sodankyla (in Sodankyla). To find where to stay, traveler tips, photos, and other tourist information, use the Pyhatunturi day trip tool . Getting from Inari to Pyhatunturi by car takes about 3.5 hours. In August, daily temperatures in Pyhatunturi can reach 20°C, while at night they dip to 9°C. Wrap up your sightseeing by early afternoon on the 4th (Wed) to allow time for travel back home.